Gestalt Psychotherapy is one of the modalities I work with as it is one of the most innovative therapies currently available. Gestalt Psychotherapy’s underlying philosophy is holistic, self-empowering and is based on the notion that every individual has only one in-born goal…..to self actualise. It provides significant resources to enable growth and self-awareness in the ‘here and now.’ What do you do? What do you feel? What do you want? What do you avoid? What do you expect? You create your reality every day in every moment with your thoughts. Which creates your state of being in the present moment. Do these thoughts and beliefs create harmony in your body or do they create stress and tension? A thought is harmless until you believe and attach yourself to it. Thoughts are like leaves blowing in the breeze; they come and go. When you believe a thought without question or inquiry it can become baggage carried around for years causing unnecessary suffering. Find out what other Counselling Services I offer. 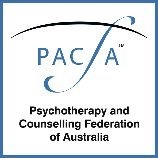 Based in Sydney’s Eastern Suburbs, Psychotherapist Mary Sutherland offers private counselling services for individuals and couples. You will be seen and heard with compassion and empathy in a safe non judgemental environment. You will the gain the tools and support to bring about self-awareness and self-empowerment. Mary work with several modalities, including Gestalt Psychotherapy, The Work of Byron Katie and Family Constellations in her holistic Psychotherapy practice. Contact Mary to discuss her approach and how you can work together.